Home Information Customer Satisfaction Measurement : Why and How ? 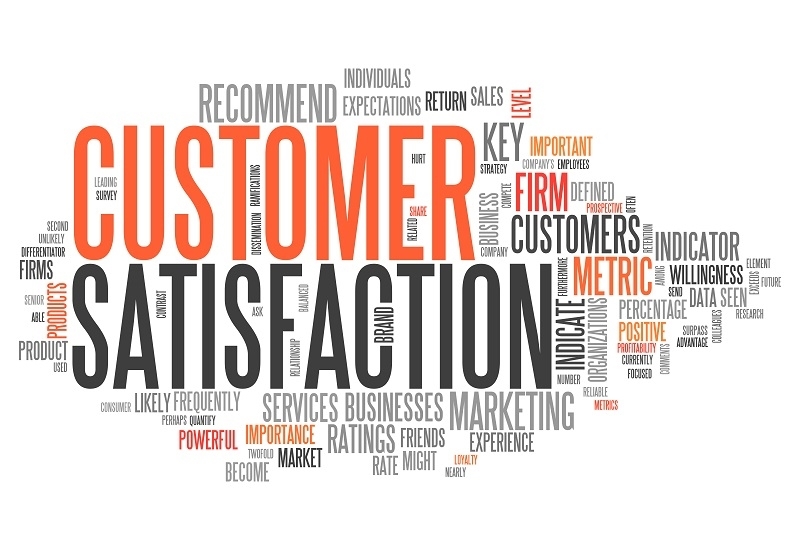 Customer Satisfaction Measurement : Why and How ? For an organization, customers are an excellent source of information as they can help us identify how a product or service is being perceived. The only caveat being, how to analyze this customer-centric data and bring it to competitive advantage. The process of measuring the customer satisfaction metric need not be expensive or complicated but an addition of a simple step to company’s existing customer strategy. 'Overall Satisfaction Surveys' are an effective way to understand how a product is being perceived by its customers. Before launching a survey it is necessary to understand the underlying goal of the campaign and judiciously using collected customer satisfaction data. There will be customers in the bucket of unsatisfactory experience, and studying their responses closely will help in improving the key UX bottlenecks that contribute to a negative customer experience. This information will further help a company to devise strategies which expedite customer support interactions, operationalize customer support, test support strategies and formulate an overall solution for unsatisfied customers. Further, the data collected by surveys can be helpful in segmenting customers into promoters, passives as well as detractors. 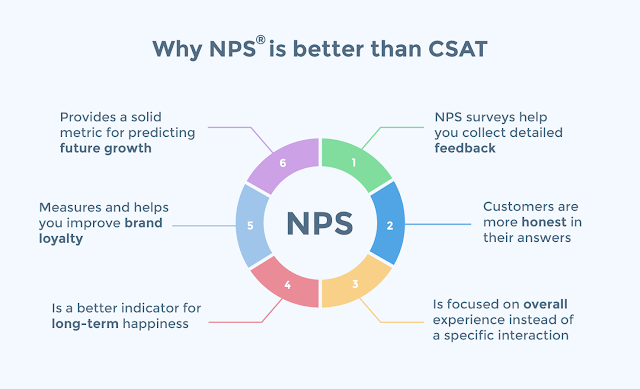 Let us find out how we can measure customer satisfaction using CSAT, CES and NPS. The management tool, net promoter score was introduced in 2003 which focusses on measuring customer loyalty and long-term happiness of a client. This is calculated based on responses to a single question like 'How likely is it that you would recommend our company/product/service to a friend or colleague?'. The scoring to the above is done on a scale of 0 to 10. Promoters are customers who respond with a score of 9 to 10 and they display value-creating behaviors. Customers responding as 7-8 falls into the bucket of Passives and those who respond from 0-6 categorize under Detractors, who are unhappy with the product or service provided. NPS score is then calculated by subtracting the percentage of Detractors from the percentage of Promoters. Detractors are more likely to share negative experiences than positive ones. 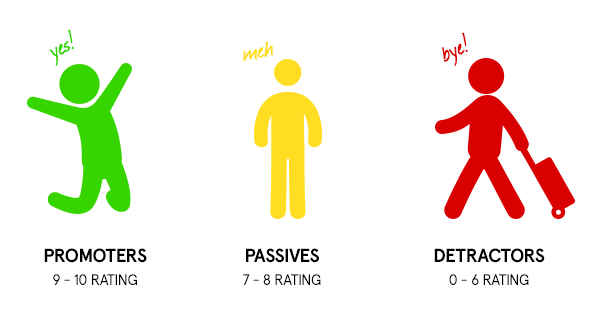 NPS score can be enhanced by monitoring detractors and getting them back on board as passives or promoters. Businesses can leverage templates provided for NPS survey and feedback questions, as well as understand apt responses to those questions, with each response being different for promoters, passives, and detractors. You can read more about detractors and how they can ruin a business. The Customer Effort Score is calculated based on how much effort is put from customer’s end into a certain interaction with the company. This helps a business to focus on creating loyal customers by reducing customer effort. The two different questions that are asked to measure on a scale of 0-5 are 'How much effort did you personally have to put forth to handle our request?' or, 'How easy was it for me to handle my request'. This is a traditional way of finding out customer satisfaction score in a certain category which measures short term happiness of clients. Questions pertain to, ‘How satisfied were you with recent support requirement?’ on a scale of 'Very Unsatisfied' to 'Highly Satisfied'. The score is calculated by summing up the responses; higher the scores, higher customer satisfaction will be. The only limitation of this measurement is that it focusses on specific interaction and not overall interaction with the company. Measuring the customer satisfaction will thus provide answers to a company’s current improvement needs. Such effective measurements help companies understand why their customers love or hate a specific product or a service. Taking an action upon the result of these measurements will in turn help in customer retention and improve customer satisfaction, generate leads and acquire more business. 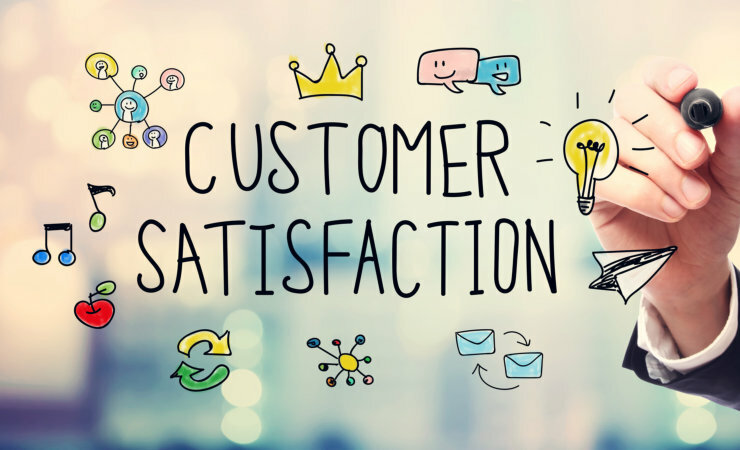 Customer satisfaction, when measured effectively, gives a valuable indication of consumer repurchase intentions and loyalty, reducing customer churn and increasing customer lifetime value. 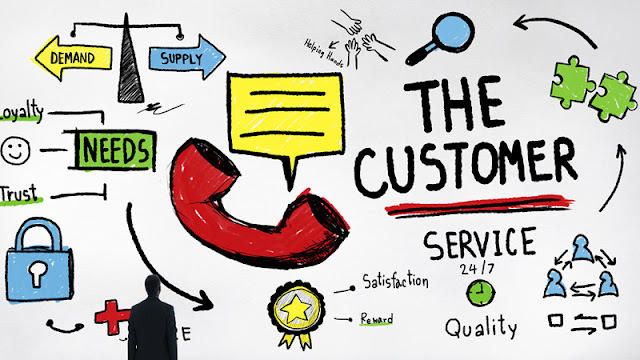 This can be seen as a clear point of differentiation from the competition who fail to perceive its customers as effectively as companies who follow customer satisfaction NPS tools.